Mr Adarsh Nayyar (VP-CSR, Galaxy Surfactants Ltd Mumbai) visited SNEH today. 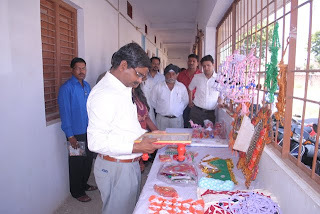 He was in SNEH to observed the progress of CSR program of LANxess in SNEH. He keenly observed the activities of SNEH. He understood the analysis procedure of kids at the time of admission and like the detailed examination conducted by Dr. Naina Christian (Occupational Therapist) very much. 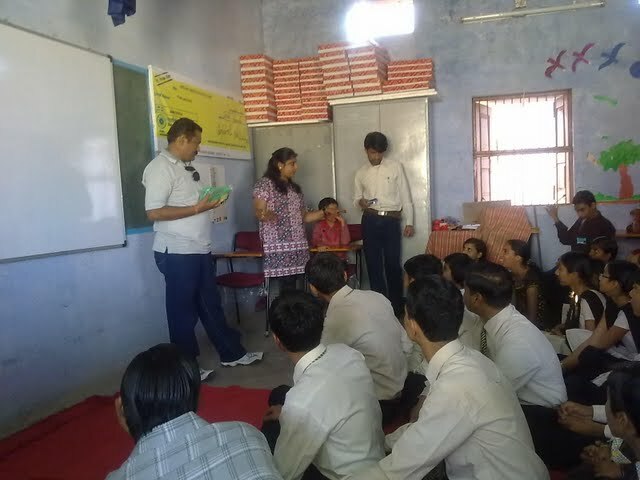 He also like the concept of making self sustainable to the kids of SNEH. 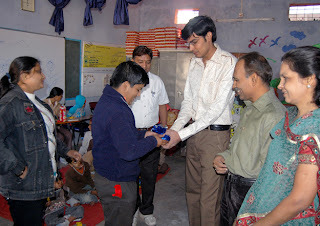 Naval Khgsala Presented a moment made by SNEH kids to him. 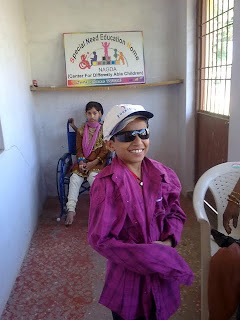 He emphasized on the boarding facility so that more and more kids can get the advantage. 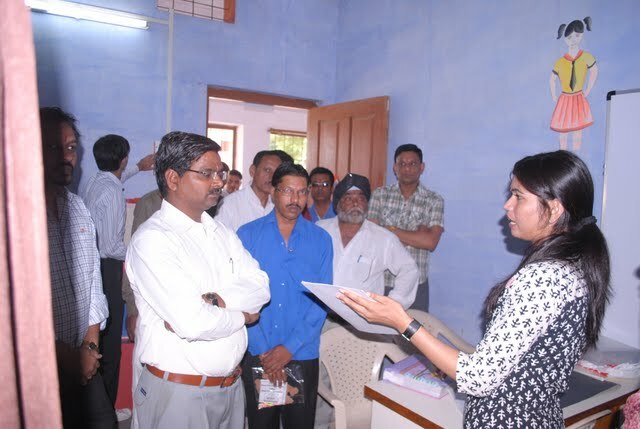 He promised to be associated with SNEH for ever.It will not be the out of context to mention here that Mr Adarsh Nayyar is a well known name in the area of CSR activities conducted by various corporates. 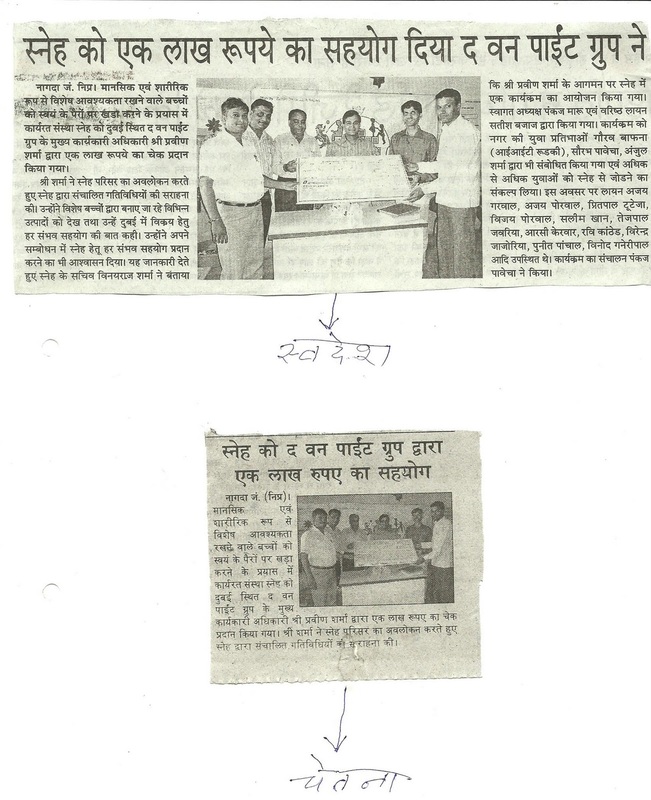 Its our pleasure that such an experience person extended his wish to be associated with SNEH. 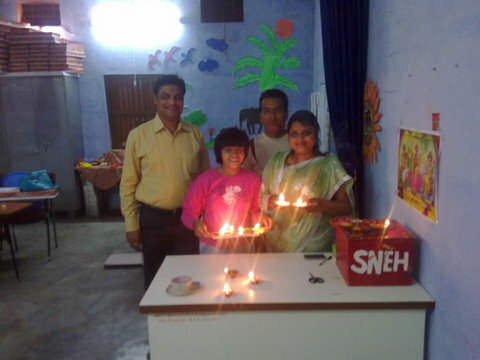 The SNEH family will definitely get benefited to make the SNEH a world class organization. Thanks to LANxess India due to which we could meet such a person. 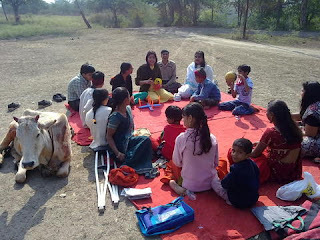 SNEH celebrates IDPwD on 3rd Dec with kids. We went for a picnic to Mukteshwar Mahadev Temple which is near to Chambal River bank. 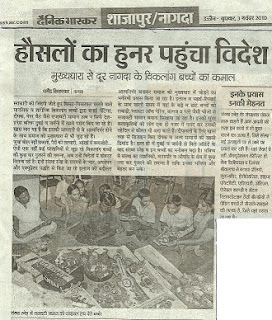 Kids enjoy the cricket, bowling, ring game & antakshri. They also enjoyed the delicious breakfast & lunch. 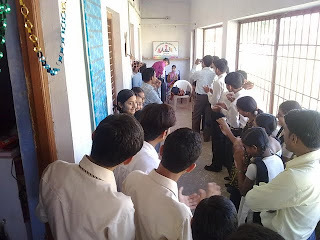 All the kids were given the gift hamper at the end of the picnic. Lions Club Nagda Greater Past President Lion Dharmesh Jaiswal celebrated his Bday with SNEH family. Chief Guset C.S.P. Shri Sateesh Binu ( I.P.S. ), Special Guest Mr Puneet Dixit (Area Sales Manger -Bharat Petrolium), & Shri Gajraj Jain (Prominent Businessman- Mandsour) were present on the occasion. C.S.P. Mr Binu highly impressed with the activities and appreciated the way of celebration of bdays by Lions Greater member. Lion Dharmesh Jaiswal Donated the Bubble Bath to SNEH of worth Rs 11000.00 on the occasion. 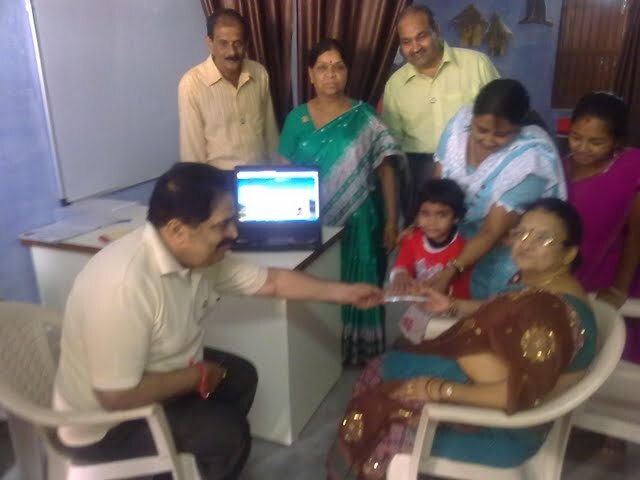 Shri Gajrajji also become taken the annual Donner membership svheme for next 10 yrs and donated RS. 3650.00. Mr Dixit also become the annual Donner member and purchased the articles also. Lion Govind Mohta, Lion Vijay Porwal, Nirmal Jain, Shyam Porwal, Vinod Ganeriwal, Ashok Saklecha, Ashok Bisani, Ghanshyam Rathi were also present. On 11th Nov 2010 Lion District Governor Lion Bam Shankar Joshi along with his wife Mrs Snehlata Joshi, Lion Anand Kant Bhatt, Lion Prabha Bhaleraw, Lion Chandra Shekhar Jain visited the SNEH. 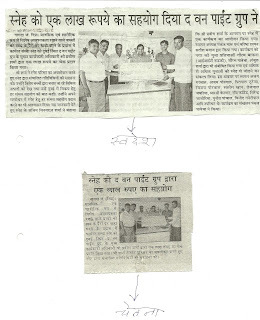 DG Lion Joshi liked very much this permanent project of Lions Club Nagda Greater. He & Lion C.S. 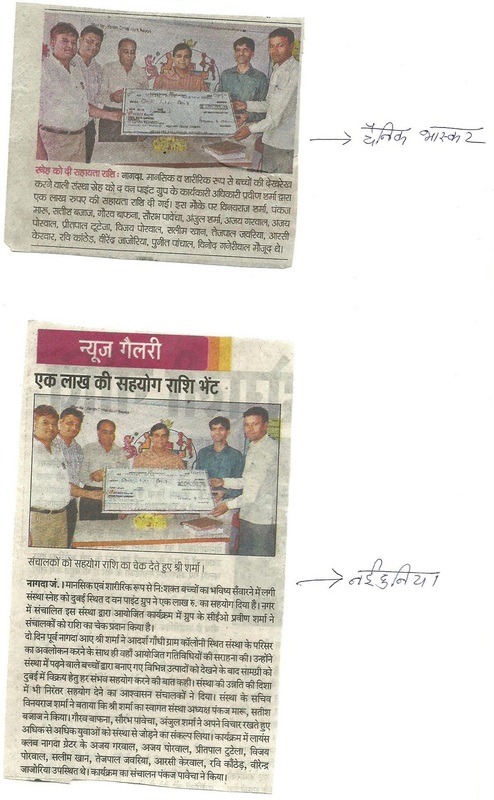 Jain became the annual member of the SNEH under Rs one per day Lets care with SNEH Scheme. 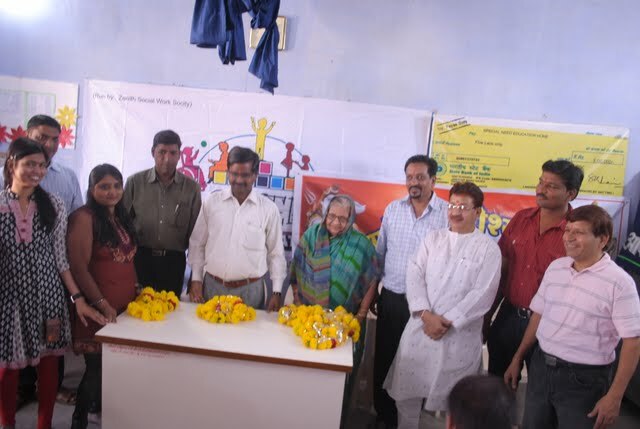 Lion Prabha Bhlaerao also donated Rs 500.00 to SNEH Kids. Mrs Priyanka Shrivastawa explained him about the SNEH & its working. 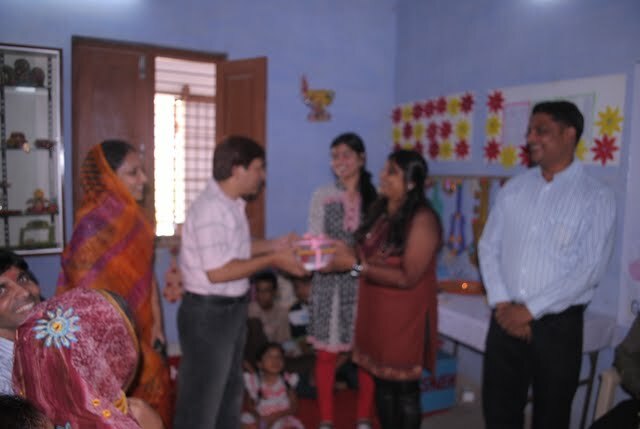 Baby Nikita presented them a momento from SNEH. On the occasion of Diwali with the initiative of our Special Educator Mrs Priyanka Shrivastawa, the Laxmi Poojan was organized in SNEH. Mr Shrivastava, Baby Sonu, Pankaj Maru, Pankaj Pawecha, Vinay Raj Sharma, Master Jay & Master Jayant were present on this occasion. 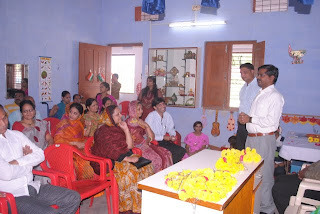 Today Parent Teacher Meeting was held in SNEH Campus. 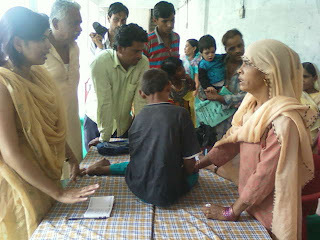 Parents of most of the Special children were present. Very good interaction and discussion were held. 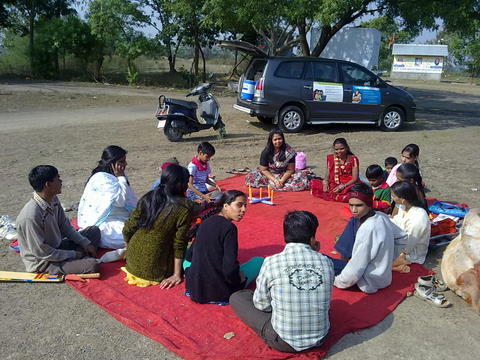 Parents are happy with the progress and development of their kids in SNEH. 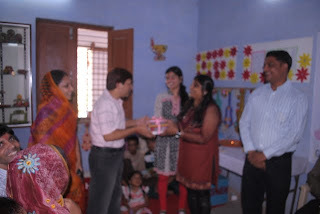 They also Visited the newly constructed sensory room and like the concept. 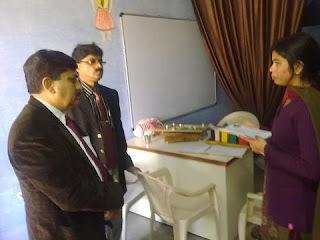 Dr Naina advised them about the activities need to be completed at Home. 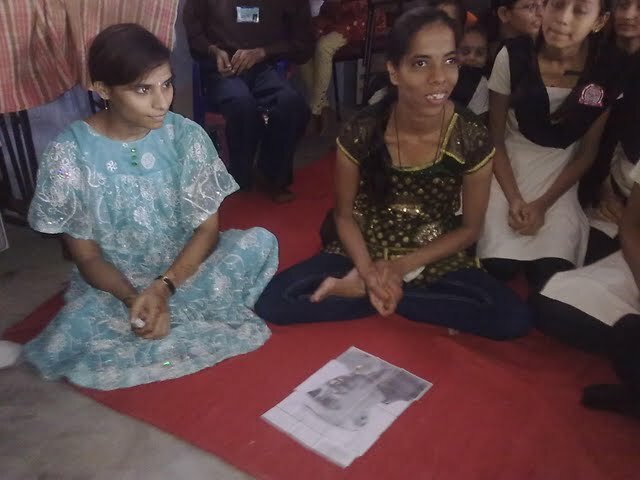 Mrs Priyanka Shrivastava informed that vocational kids are preparing the vex candles for Dipawali and requested all to support SNEH in selling. Pankaj Maru gave the vote of thanks to all the parents. 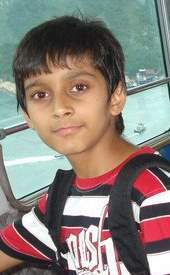 Master Pranay Sharma, a student of class 8th of Delhi Private School Sharjah (UAE) has taken the SNEH as his project of summer vacation. He has been alloted project on social activity. 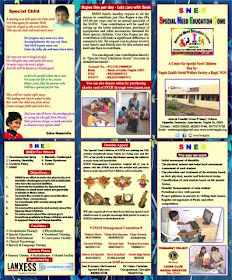 He requested SNEH to send some of its articles made by SNEH kids. He will sell the articles in Dubai and collect the fund to support SNEH. 10 articles have already been shipped to Dubai for this purpose. It will not be out of context to mention here that the 70% of profit will be given to the SNEH kids who made the articles. SNEH is working to make special need children self-sustainable through such activities. SNEH team extent the best wishes for Master Pranay who have shown the whole hearted interest in this noble cause at such young age. It was a really great moment for SNEH family when the Lanxess BU Controller of Nagda Unit Mr Pankaj Pawecha, who is one of the managing committee members of SNEH, presented a memento from SNEH which was made by SNEH kids to the LANxess Global Controller (BAC) Dr Walter Kipshagen at Germany. 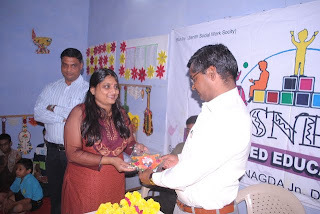 He appreciated the efforts being made by the SNEH for making the Special Need Children self sustainable. 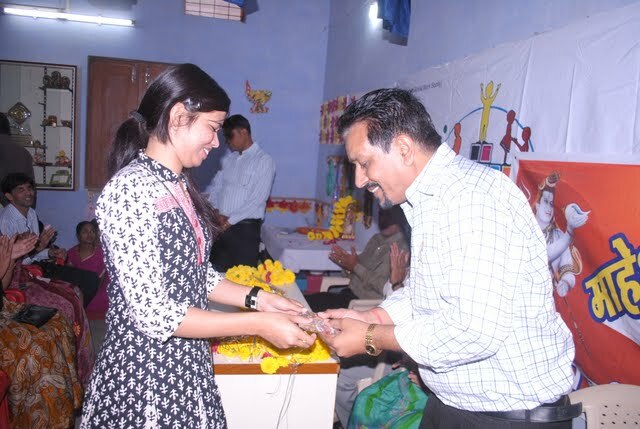 LANxess is supporting SNEH under its CSR program. Lions District Governor MJF Lion G.S. Arora declares SNEH as the BEST ACTIVITY OF THE YEAR. He said the "SNEH is the unique activity of its own type which really making a great image of lionism in the society. The dedication of SNEH team including its faculties and management is incomparable. 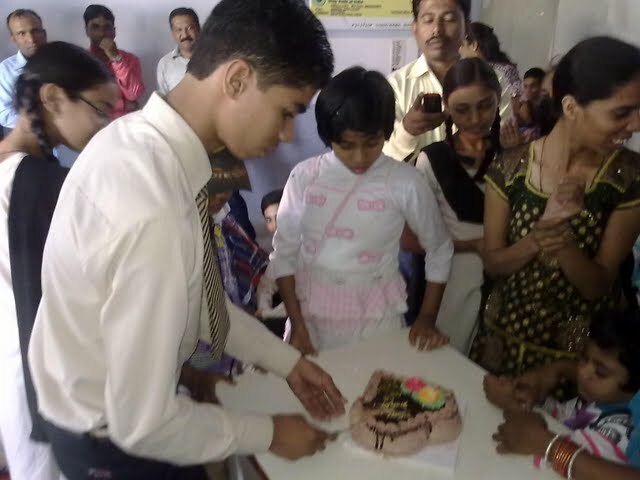 The outcome of SNEH in one year span is that one kid start walking, two kids of Autism start giving attention and eye contacts and started talking. No other service project can be better than this and based on all these facts we selected SNEH as best activity." THe Famous Management Guru and promoter of positive thinking Mr S.Nand's thoughts about SNEH. We are thankful to him for his valuable suggestion and look forward for his support and guidance for SNEH. We request that if all can come forward for contribution of Rs 1.00 per day to SNEH and encourage others too for the same can make a big difference in the life of a Special Child. my small experience in the field is that the more and more individuals get connected with any social project make that project a grand success. I will like you to think of A RUPEE A DAY sponsership from individuals.The box could be provided by us. I will love to help. 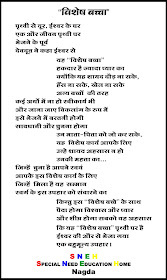 If I ever come to GRASIM, will love to visit and see for myself your good and inspiring work. 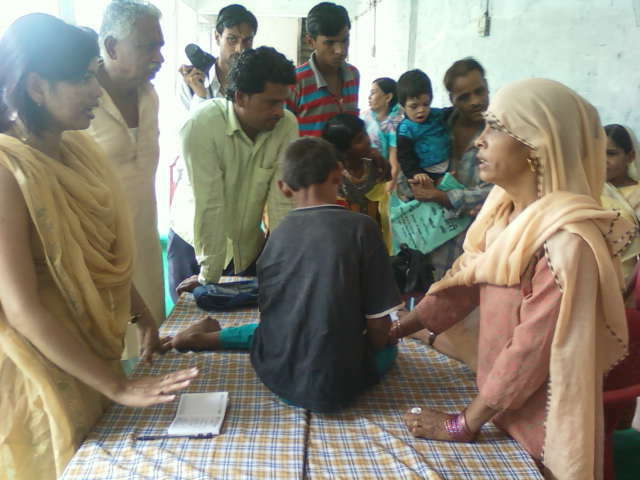 Today SNEH management committee visited the home's of children and discussed on various things with the parents. 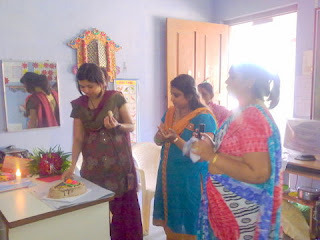 Mrs Priyanaks Shrivastava (Special Educator) was also there during the visit. We have got good feed back and based on that committee will implement the things for further improvement. The committee visited total 6 children's home.